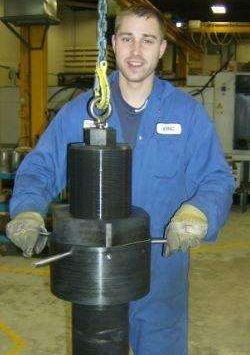 Precision Bolting Ltd. offers custom bolting solutions for difficult bolting problems. However, the definition of a Bolting problem can be as varied as the applications they are found on. Worker Safety, Design Restrictions, Extreme Loads, Dynamic Joints, Time Restraints, Mechanical Deficiencies, Re-usability & Job Economics are all versions of a problem. Drawing on decades of specialized bolting experience, Precision Bolting takes pride in our ability to develop unique solutions that address real world problems. Sometimes a difficult bolting problem means that more than one technology is necessary to ensure the long term reliability of the joint. Precision Bolting has experience combining multiple technologies into a single bolting solution. 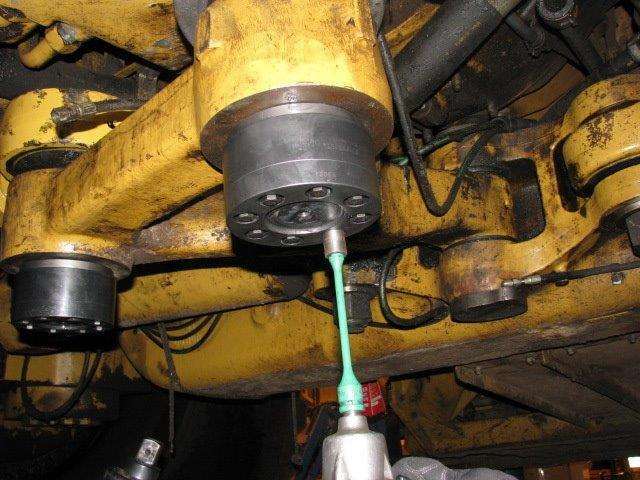 On large mining haul trucks, the nuts used by the factory to seat these steering linkage tapers created a safety issue in the field. Installing a Superbolt® Torquenut addressed the safety concern, but the inverted location and a low bolt load could have left the joint susceptible to self-loosening. Precision Bolting added a Taper Line® thread locking feature to the Supernut™ to ensure reliability. Sometimes a difficult problem is access to appropriate materials & manufacturing. Precision Bolting offers custom manufactured fasteners to suit your particular application. Knowledge of Pressure Vessel Codes and Material Requirements allowed PBL to manufacture ø7” Custom Studs with Nuts for a Reactor application. All Stud/Nut combinations were trial fit to ensure easy assembly on site. Sometimes the solution to a problem is just pulling it all together for the Customer. 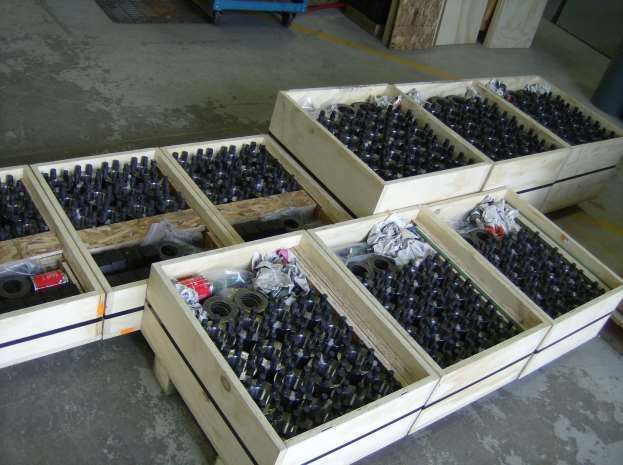 Precision Bolting specializes in packaging fasteners into application specific Bolting Kits. These kits make for easy ordering, transport and storage. No more lost or missing fasteners at the job site! PBL Custom Flange Bolting Kits for 10”, 12” & 16” Class 1500 flanges. Each kit includes Superbolt® Torquenuts™, Threaded Studs, Backup Nuts, Flat Washers, Lubrication, Tooling and Installation Instructions under a single part number. No matter what your problem looks like, Precision Bolting’s specialized Engineers, Machinists and Millwrights are always pleased to help find the appropriate solution.